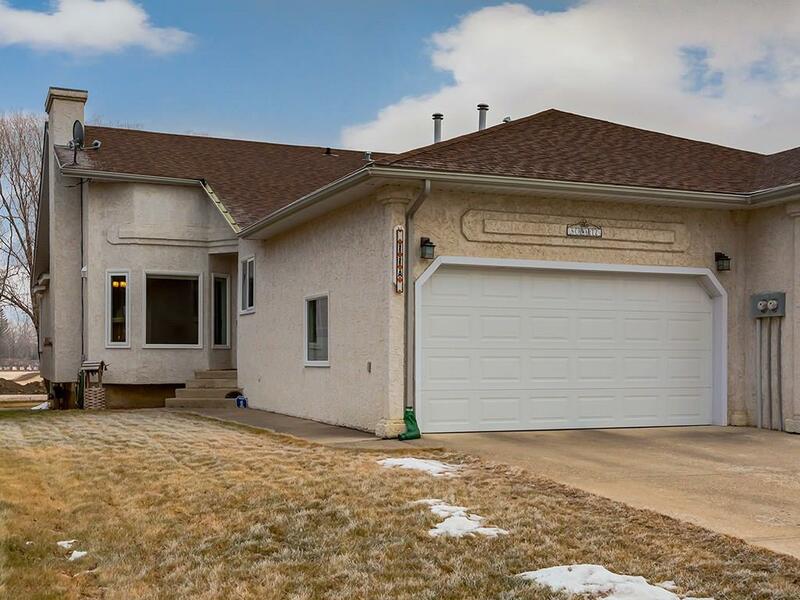 DESCRIPTION A beautiful fully finished bungalow, backing onto the 6th hole of The Bridges at Claresholm Golf Course. The main floor offers an open concept living room and dining area, highlighted by vaulted ceilings. The Kitchen is a great size with all major appliances, plenty of counter space & cabinetry with lots of windows and a breakfast nook. The BIG Master bedroom offers plenty of natural light, large windows, faces the golf course, with a walk-in closet, 3pc ensuite & stand-up shower. The main floor also has a den/flex room, spacious half bath and laundry/mudroom. The Lower level offers a family/rec area with a fire place, bar, and 4pc bathroom. A potential 2nd bedroom (Window NOT Legal) flex area, and a large storage/mechanical room. If you are looking for pride of ownership, close proximity to schools, hospital, fire station and halfway between Lethbridge and Calgary with Central Air Conditioning in a family-friendly town, then this is the home for you. You have to see this home, to truly appreciate it. Home for sale at 11a Westlynn Dr Claresholm, Alberts T0L 0T0. Description: The home at 11a Westlynn Dr Claresholm, Alberta T0L 0T0 with the MLS® Number C4224338 is currently listed at $284,900.